Pain is one of the most common reasons for visits to primary care providers every year. Yet, despite the prevalence, managing chronic pain remains a significant challenge. Current recommendations for addressing chronic pain focus on a multi-modal approach including non-drug and drug treatments. This module discusses the evidence-based management options, both drug and non-drug, for four common pain conditions: osteoarthritis, chronic low back pain, diabetic neuropathy, and fibromyalgia. Further it includes recommendations for managing patients who may require or already be taking opioids including monitoring opioid safety, prescribing naloxone, and identifying patients with problematic opioid use. Managing pain requires establishing clear functional goals that center on activities which are important to each patient. 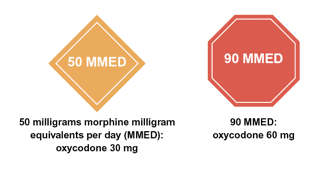 In order to achieve these goals, a focus on non-opioid treatment options is recommended. For those patients who do require opioids, utilizing non-opioid options can reduce total opioid doses and help improve function. Selecting evidence-based treatment options can be challenging, with some pain conditions having more options available to manage pain than others. Below is a summary of common options used to manage pain and a corresponding benefit to risk profile for each option. More details regarding the evidence behind these recommendations, please see the comprehensive evidence document. In some patients, long-term opioid use results in misuse and abuse. Discussing opioid use at each visit can help identify when patients are using medications other than as prescribed. Screening, Brief Intervention, and Referral to Treatment (SBIRT) identifies patients with problematic opioid use or potential opioid use disorder. Using this tool can result in improved initial retention in treatment and is a billable service.2 See the SBIRT resources for providers for more information on trainings and reimbursement. Patients identified are then referred to treatment programs. Medication assisted treatment is the most effective way to manage opioid use disorder. Primary care providers may obtain a DEA-X waiver to prescribe buprenorphine/naloxone (Suboxone) to treat addiction, or can refer to addiction treatment programs that provide methadone or extended-release naltrexone, along with behavioral support. Information current at time of publication, December 2017. 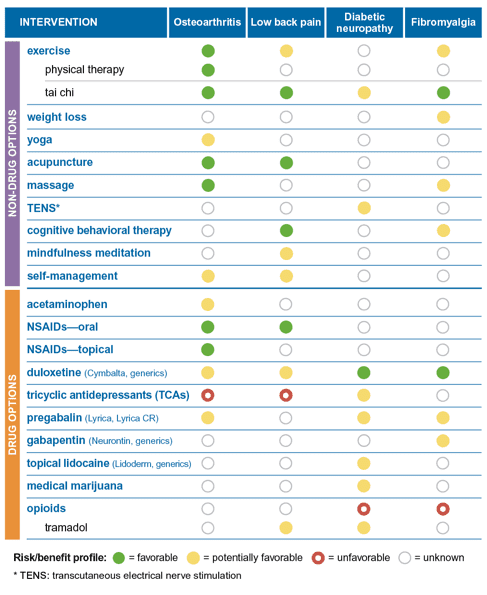 The content of this website is educational in nature and includes general recommendations only; specific clinical decisions should only be made by a treating physician based on the individual patient’s clinical condition. 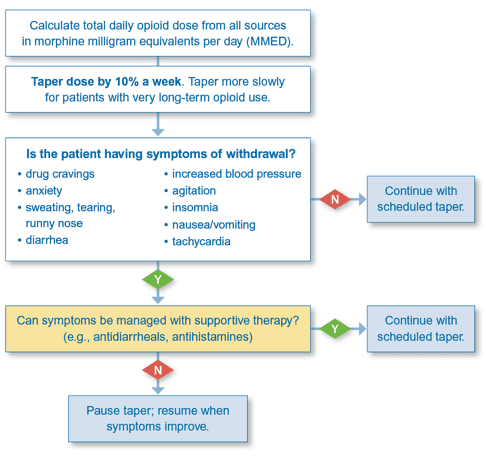 Dowell D, Haegerich TM, Chou R. CDC Guideline for Prescribing Opioids for Chronic Pain – United States, 2016. MMWR Recommendations and reports : Morbidity and mortality weekly report Recommendations and reports. 2016;65(1):1-49. D’Onofrio G, O’Connor PG, Pantalon MV, et al. Emergency department-initiated buprenorphine/naloxone treatment for opioid dependence: a randomized clinical trial. Jama. 2015;313(16):1636-1644.